A year ago, I crashed into a marathon PR of 3:13:54 in Boston on a warm day after a winter/spring of chipping away under 3:20. I started ramping up my ultra training soon thereafter and managed to eke out PRs in the 6 hour, 12 hour, and 24 hour timed events along with 100k and 100 mile PRs in the process. 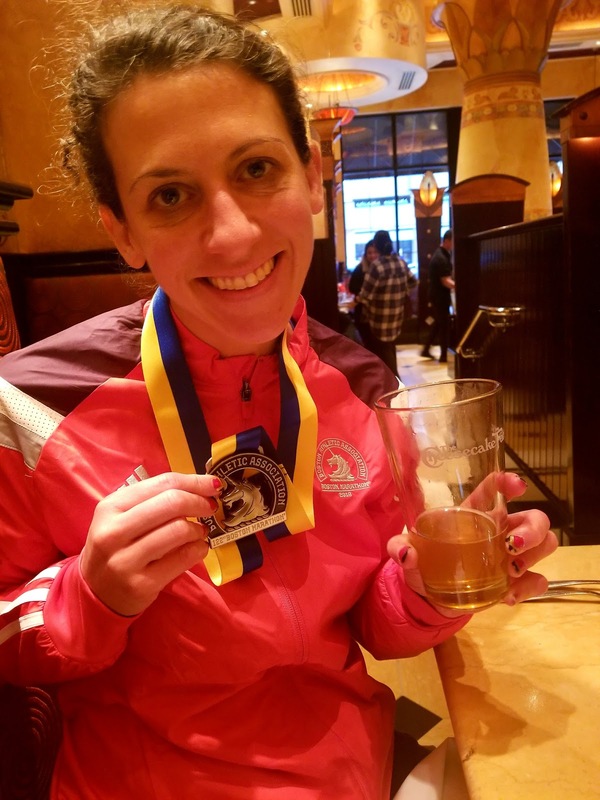 October was all about downtime and base miles with a little fun marathon thrown in and November pushed the pace a little faster as I began to recover. 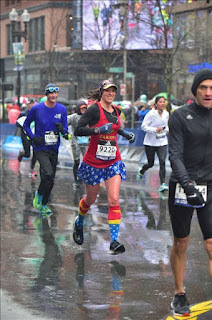 December brought a freak hamstring pull (right hammy) days before the Rehoboth Marathon and I raced despite barely being able to hobble around the office mere days before. 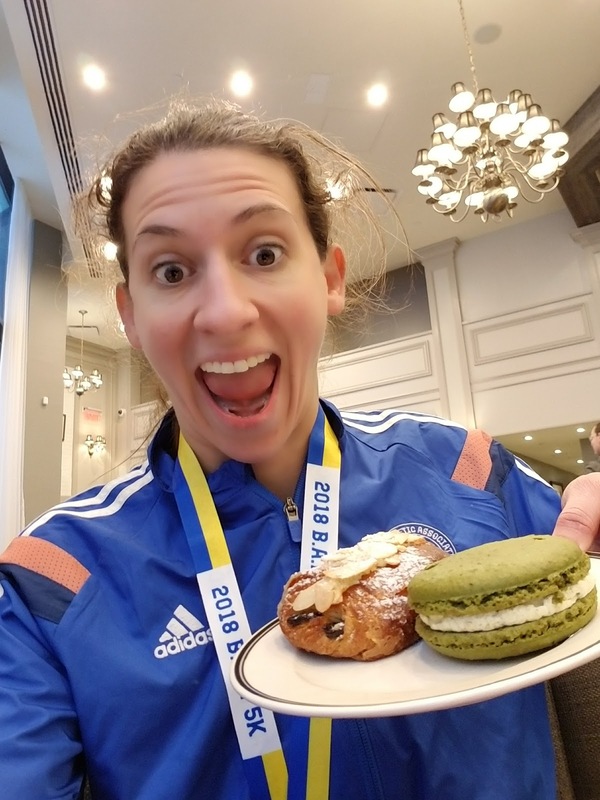 2 weeks later, I felt the best I had since Albany on race day and went after the JAX Marathon hard. It netted me my 3rd fastest marathon time, but my (left) foot that felt tender was definitely barking. 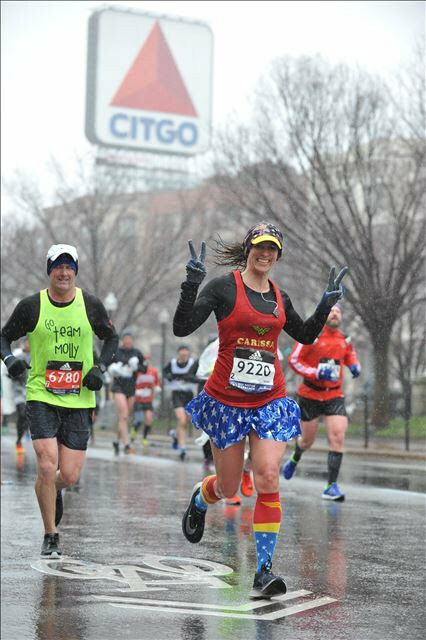 2 weeks went by and though my foot was still kind of iffy when I wasn't running, I decided to race a 6 hour race very last minute. Though I grabbed a 50K PR and a new 6 hour PR, my foot was not happy the days following. What I thought was a bruise in JAX was clearly not. I gave it some rest, ran slowly, but all signs pointed to something wasn't right. 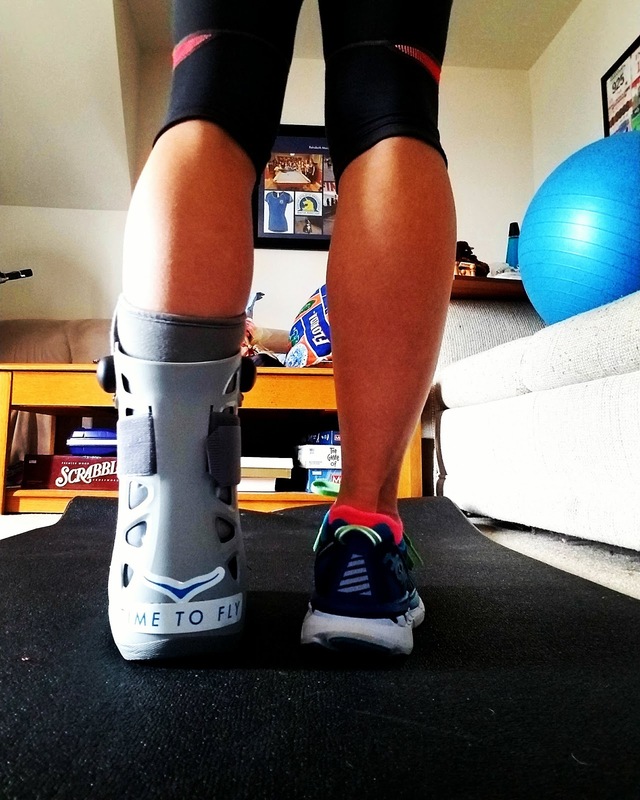 After being diagnosed and treated with tendinitis first, I eventually would be diagnosed with a stress reaction and was sentenced to the boot for 6 weeks. Since getting back into running in 2006, this was by far the longest I had ever gone without running. And while I'd had little flare ups of pain and soreness here and there, I never had anything that wasn't cured by a week of rest. 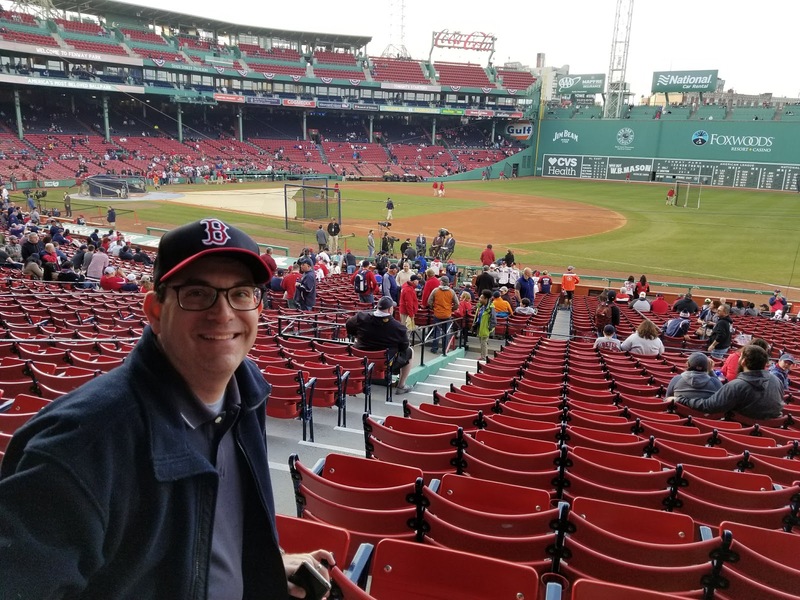 With Boston looming in mid-April, I was definitely worried. 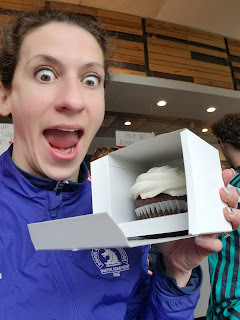 I cross-trained like a madwoman. Partially to keep my fitness levels high to make it easier to return to running and partially to fill the void I felt without running in my life. I lifted weights, I did chair cardio, Pilates, and swam. I biked a few times when I was cleared to, but decided the strap was too irritating to my bum foot. 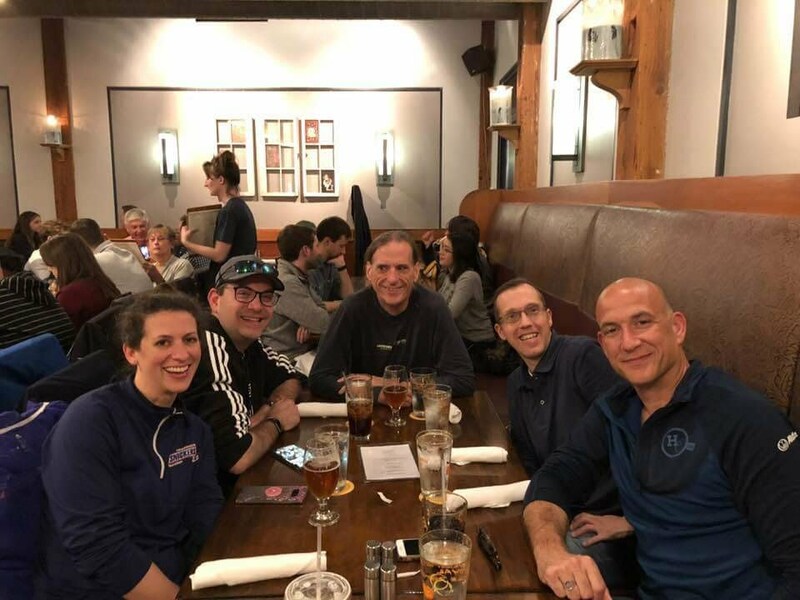 When the boot came off, I followed the doctor's orders of giving myself a couple of days of walking around before attempting to run. The first run back was slow and I was feeling very out of shape after 2 miles, but my legs had no trouble going through the motions. There was no real plan in place after that. Boston was less than 4 weeks away and I was stuck between feeling prepared and hurting myself again. So I took it a day at a time. Adding on miles, keeping up the cross-training, and backing off when my foot felt angry. I would make a tentative plan a week in advance and adjust when necessary. 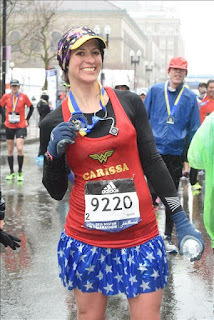 I knew trying to run Boston wasn't smart for long-term, but I also knew I'd regret not trying. There were days up until about a week before that I still wasn't sure if I was going to race. In my heart, I was 100% in, but my head argued about the possibilities of consequences. 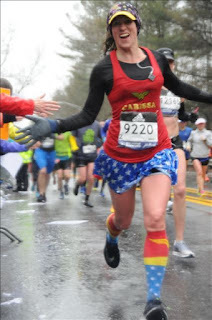 But after the girls' weekend in Raleigh, I'd convinced myself it was okay to go for it so all of a sudden I found myself tracking down a Wonder Woman running costume and Nike Vaporfly shoes. I needed everything in my arsenal. Adam and I traveled to Boston Friday and got checked into our Airbnb, hit up the expo ($$$), and went to a Sox game. 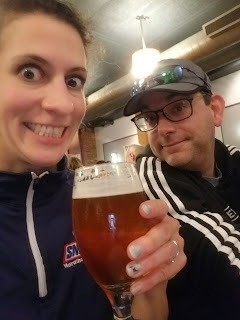 Both of us were exhausted by the 7th inning and we ended up leaving before the game was over to get a head start on the way back AND because I had signed up for the B.A.A. 5k on Saturday morning. Adam never leaves games early so this was kind of a big deal! I had no goals for the 5K other than to just use it as a "shakeout run". Luckily, Amy spotted me as she arrived and we ended up running and talking the whole time. I was grateful that her company kept me from thinking about my foot and we really just hammed it up the whole race. Saturday also was my 36th birthday so we spent the rest of the day bakery and brewery hopping, capping off our evening with dinner with a few Loopsters at the now-traditional Cambridge Brewing Company. 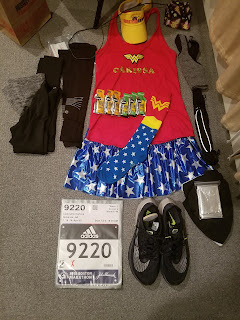 Rest was on the order for Sunday, but as weather forecasts looked worse and worse, I began to panic a bit about my outfit. Roger and I made it our mission after carb-loading for brunch to find long-sleeved compression tops. After a few busts, we ended up with the same version of a shirt from Lululemon. I cringed at the $78 price tag, but would later have zero regrets about the purchase. After parting ways with Roger, Adam and I went back to our Airbnb to rest. 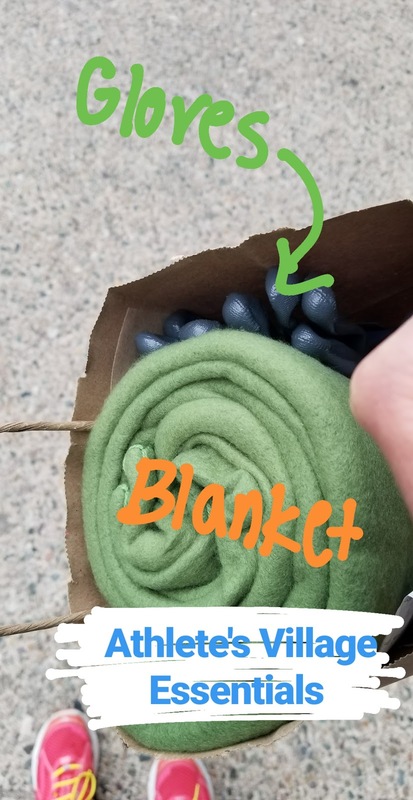 I picked up some nitrile gardening gloves from a nearby Ace hardware to go over my running gloves and a fleece blanket to stay warm at the Athlete's Village. 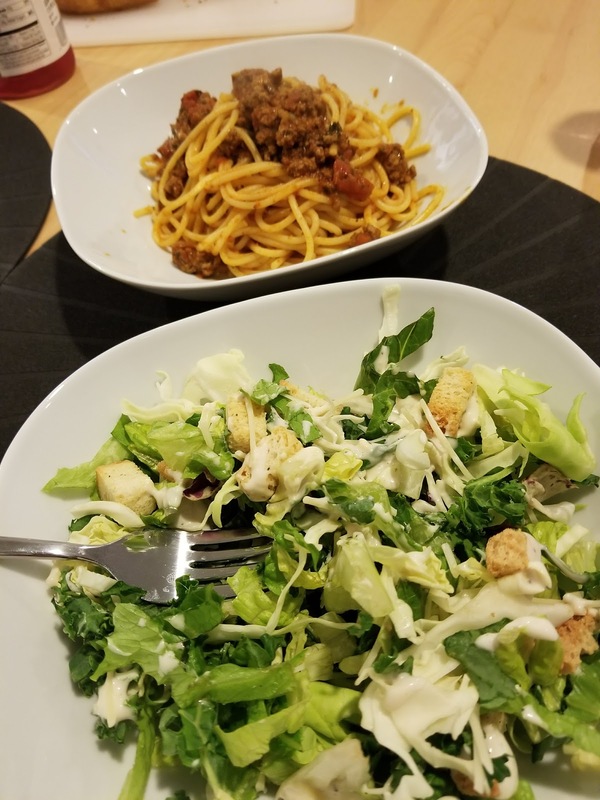 I made spaghetti with marinara sauce, a green salad, and paired it with a baguette for dinner. Carbed and armed with layers, I was as ready as I could be. I slept really well the night of the race and woke up to my alarm going off. I took 45 minutes to eat half a bagel and a banana, dress, and lock myself on the patio outside when I was checking the weather. After Adam rescued me, it was time to grab a coffee, hop on the T, and try to find Casey and John at the bus pickup. Luckily, they spotted me huddling in the crevice of Hermes' front door and we were off to the buses. 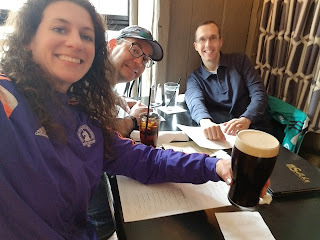 The 3 of us rode together to Hopkinton and then spent the next hour or so trying to fight off the wind, rain, and mud. The field of the Athlete's Village was a huge mud pit and the areas under the tents were so bad that you couldn't even get out of the rain. It was a shitshow. We just laughed because what else could we do. Casey saved the day with extra HotHands and a huge trash bag. 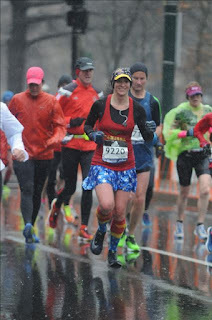 I was still wet and cold, but at least I was better off! 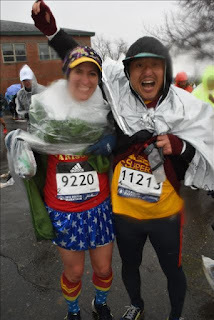 John and I headed out to the corrals when Wave 2 was called. Under my blanket and trash bag, I had yet to arrange my gels, iPod, or eaten my other bagel half. Realizing I had nothing more than coffee to drink that morning, I grabbed a cup of water from volunteers on the way in. Practically new shoes, a new top, a new skirt, half of my breakfast, under-hydrated, freezing cold windy rain, and 26 days of training after 7 weeks of zero miles. 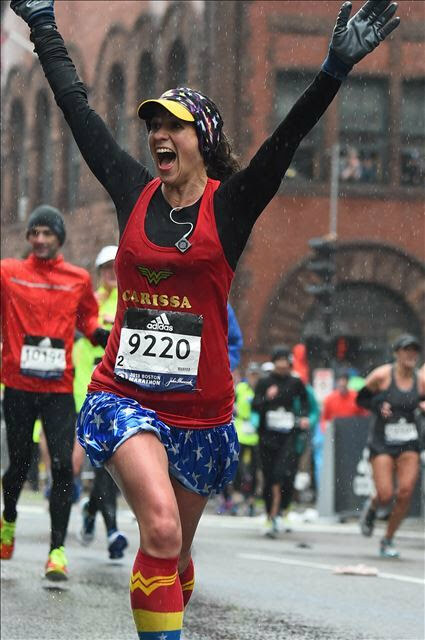 The craziest thing is despite all the things stacked up against me, I knew how to run a marathon. It might ugly, but I was determined that once I started, I wasn't going to give up. With 7 minutes to go, I got in my corral and started to try to stuff my sports bra with my gels and get my iPod clipped. It was too rainy to try to even listen to music so I just shoved the ear buds in my shirt. I was fumbling and remembered to turn my watch on around the same time I ditched my blanket and trash bag poncho. I was trying to get my outer glove back on when the gun went off. It was go time! I went out with the people in my wave and tried to just stay at a comfortable pace. 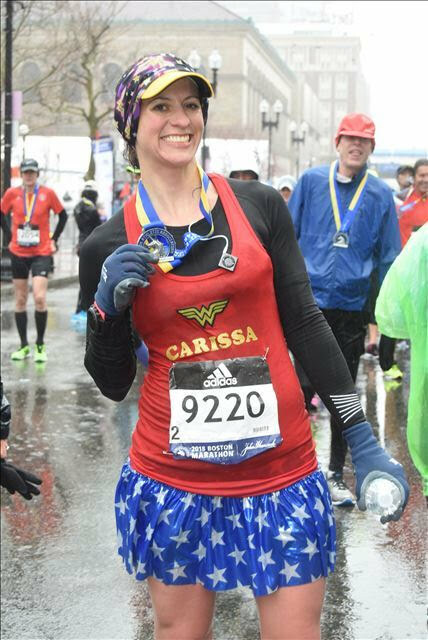 The Boston course makes pacing difficult because of the steep descents in the beginning that feel way too easy on fresh legs. My game plan was to just stay to the left and let people go by. 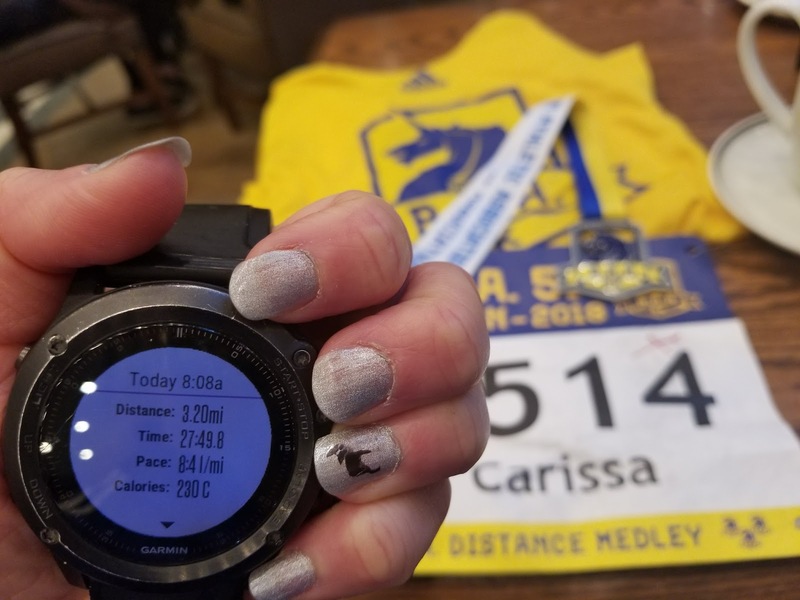 As the first miles slipped by, I started looking at my paces and was surprised that I felt pretty good despite me lingering near 8 minute miles. 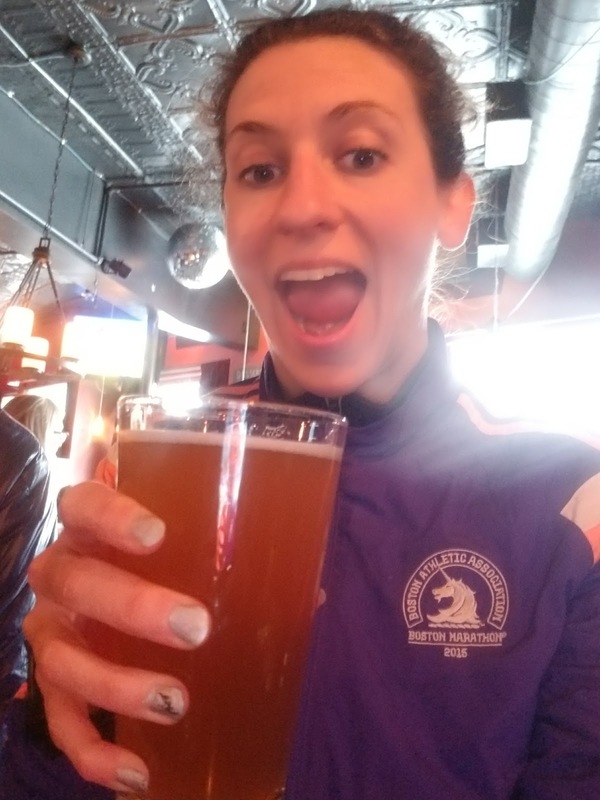 The fear of blowing up after 10 miles (my longest post-injury distance) loomed over me, but I decided to just stay in the moment and deal with it one mile at a time. From the get go, my right shoe was tied way too loose. I really wanted to stop and tighten it, but the momentum of people was always so intense that I just couldn't make myself stop. So I hoped it wouldn't be an issue and tried to forget about it (spoiler alert: it didn't matter). At the 15K mark, I noticed that I still felt pretty good all things considering. I knew I still had the ugly miles to go, but nothing was inherently bad other than the freezing rain. I was REALLY glad I had bought the extra shirt and gloves. And I hadn't planned on needing a buff for warmth, but I was REALLY glad I had my ears covered. As I hit the halfway mark, I realized I could still actually BQ even if I slowed. This was always an outlying possibility, but I was so much more focused on just finishing and really had no business thinking about time goals. The last downhill before Newton is always bittersweet. It is a beautifully graded hill and at just before 16, you think you will be heading into single digits with grace. But I knew what awaited around the right curve. As I got to the turn, I felt immediate relief as Matt and I spotted each other and then I saw Adam. 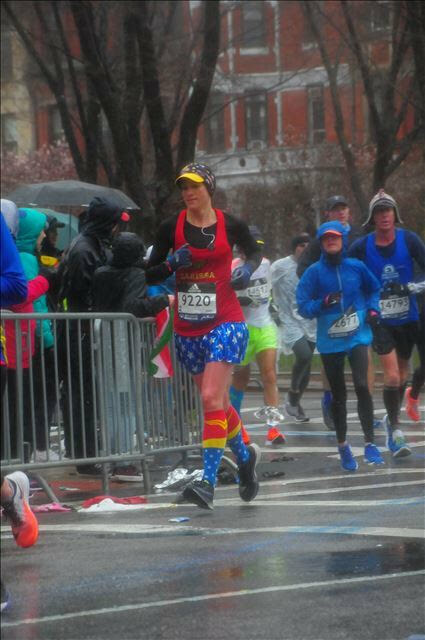 The finish line in sight, I glanced at my watch and saw that I would have just enough time to get under 3:40. 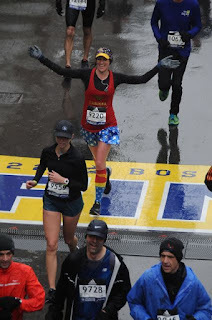 I had no sprint for Boylston, but felt emotion well up in me as I got closer to the finish mat. 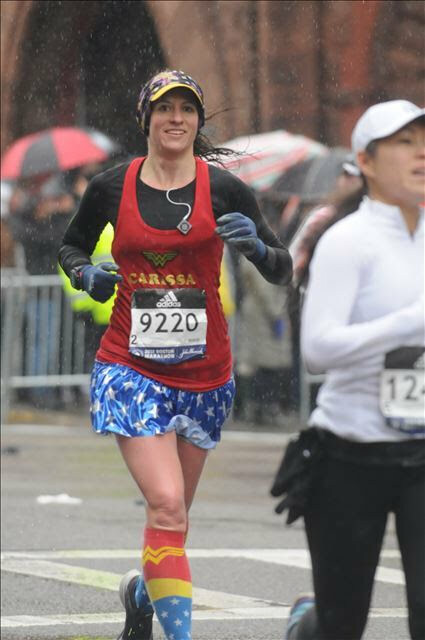 I was grinning ear to ear knowing that I was steps away from finishing and in a pretty respectable time. 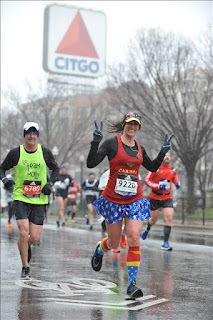 I clicked off my Garmin and hobbled into the finish chute. I felt dizzy, exhausted, and my left contact was smooshed in my eye so I could barely see. I shuffled forward to collect a bottle of water, my medal, and after what felt like an eternity, a heat sheet. The walk back to the Airbnb quite possibly tested me as much as the marathon. Now that I was no longer running and in soaking wet clothes, I was so, so cold. 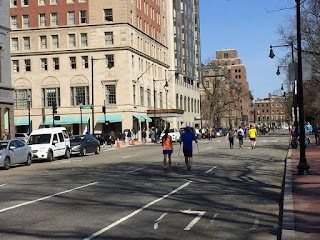 I walked into the Prudential building from one side, but couldn't figure out how to get to the other in my state of delirium so I had to backtrack. I went back in another section after a few blocks outside and walked past fancy stores dripping wet and looking like a zombie. I knew I had about 5 blocks to go from the backside of the Prudential building so much like the marathon, I took it one step at a time. I walked past a hotel laundry vent that was blasting warm air and stood with the heat in my. face for a few seconds before making the final push. When I reached the door, I rang the bell and was relieved when Adam came to the door quickly. I finished the marathon and finally could start to get warm. 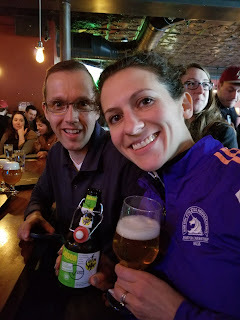 Soon, I was surrounded by friends, drinking a beer, and recapping the race. The best feeling on Marathon Monday! 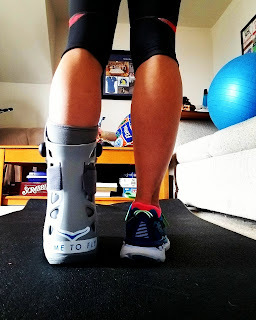 Follow this link to see my cross-training/return to running log if you are curious about what I did while I was injured and the weeks post-boot. My heart aches. And I feel selfishly wrecked with grief. It isn't my story to tell. It isn't me to feel saddened by, inspired by, disappointed by. It doesn't have a Hollywood ending. It is real life. It is messy, complicated, full of love, and full of tears. This morning, after covering nearly the same distance I did yesterday during the race, I took a few pretty pictures of brownstones lining the streets. The run was awful. I felt sluggish and uncomfortable. I smiled in my photos and walked the corner to sit on the stoop. As my heart rate slowed down, I felt tears welling in my eyes. I wiped them away and climbed upstairs. It was far easier to feel nothing than everything as I shoved my emotions back inside. But as I warmed up a cup of day-old coffee, I met Adam's eyes. The tears flooded. I was sad and mad that I was sad. How was I supposed to be the support person when I needed support myself? He shouldn't be consoling me. It felt so wrong that I needed his embrace. I didn't want a life lesson yesterday. I wanted a happy finish photo. The spectators cheered for adversity and our family and friends awaited that Cinderella moment. Police officers cheered us down the entirety of Commonwealth Avenue. Shakeout runners fist-bumped Adam when we turned onto Hereford. 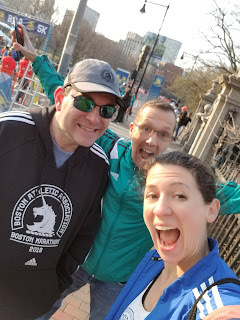 Strangers clapped wildly as we made our way down Boylston with an entourage of volunteers. "Go Adam!" they cheered, "you've got this!" It never occurred to me that giving everything he had might fall short of 3.1 miles. This was Boston! This was us! 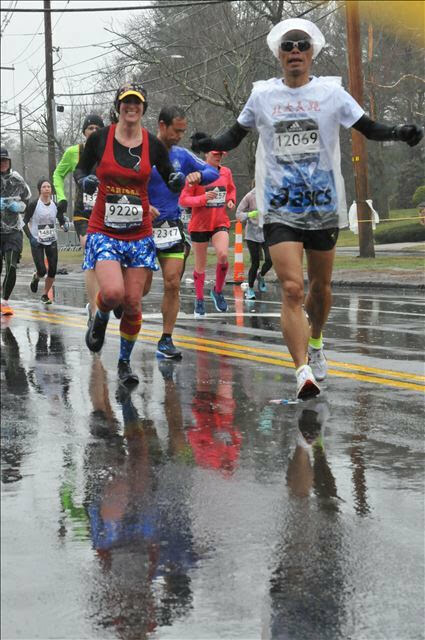 Just past the marathon finish line, he collapsed onto the curb for the final time. I wanted desperately for him to get up, keep going, and push another 10 minutes. But his body had weathered too much. 2.6 miles was what he could do. His legs had gone numb. And the fatigue exacerbated his lack of balance. He had collapsed 3 times already to the pavement. At the time, I fought back tears as I grabbed the attention of the medical bus. I watched as 3 grown men helped load him up the stairs. I sat quietly next to him, not knowing the words to make it better. But one day, I know we will be retelling this story with a bit of time, distance, and perspective. And we might even laugh. We conquered the Heartbreak Hill of the 5K. 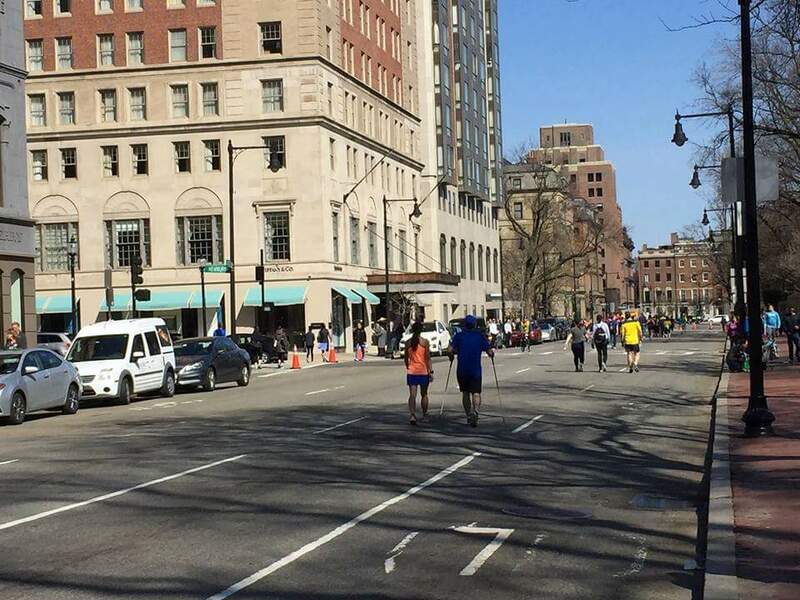 He flung his wedding ring down Boylston during one fall and was more concerned about recouping the ring than hurting himself. He did what he could with what he had yesterday. And I couldn't be more proud that he had the courage to try.